A spirit of giving was sprinkled throughout our March “In the Moment” posts. We invite you to take a glance at those you may have missed, or a second peek at those you’ve already enjoyed. 1. Imagine breaking 32+ bones at once. 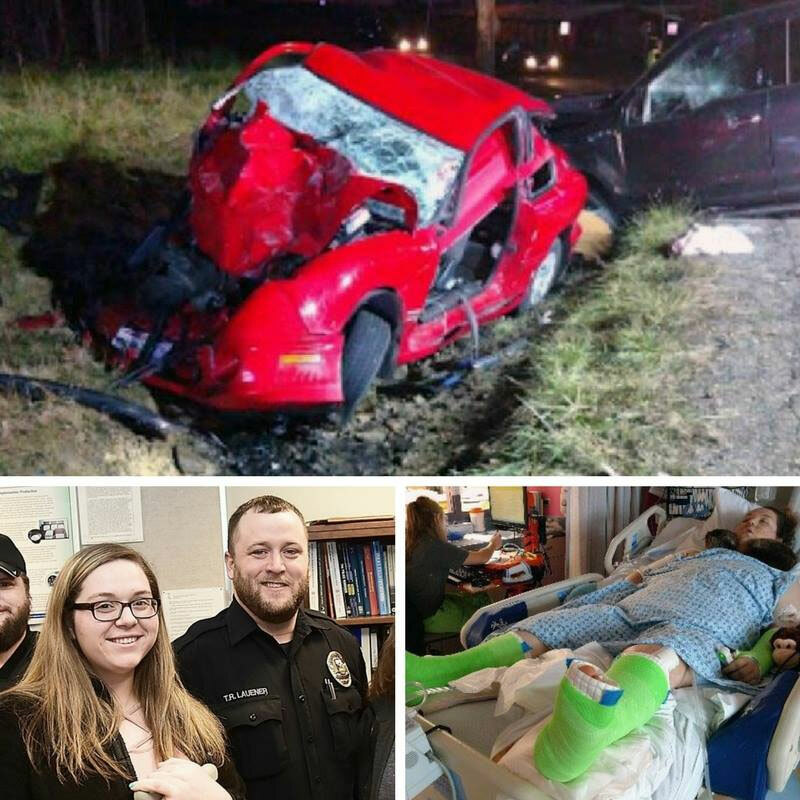 Sadly, that happened to 17-year-old Rybecca in a car crash, but the heroic actions of off-duty officer Tye Lauener of City of Alliance Police Department saved her life. 2. Like all families, the Grieses shopped for toys to mark their daughter Molly Ann’s 3rd birthday. But, sadly, siblings Owen and Emma will never get to see her open gifts. She died at 2 months old. 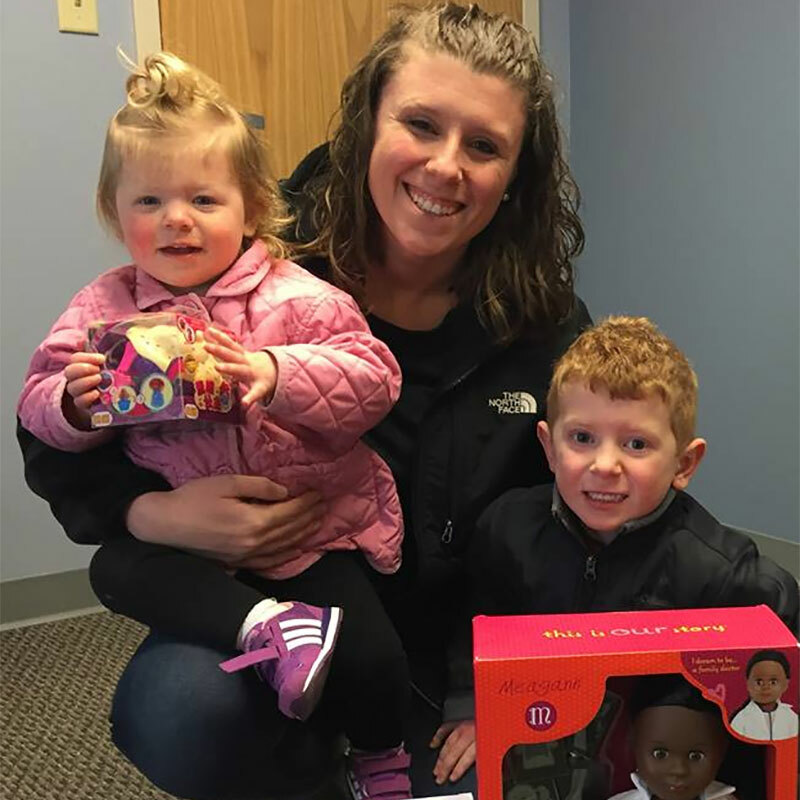 Instead, they donated Molly Ann’s gifts to Akron Children’s. 3. Ever wonder what a day is like inside our Akron campus? 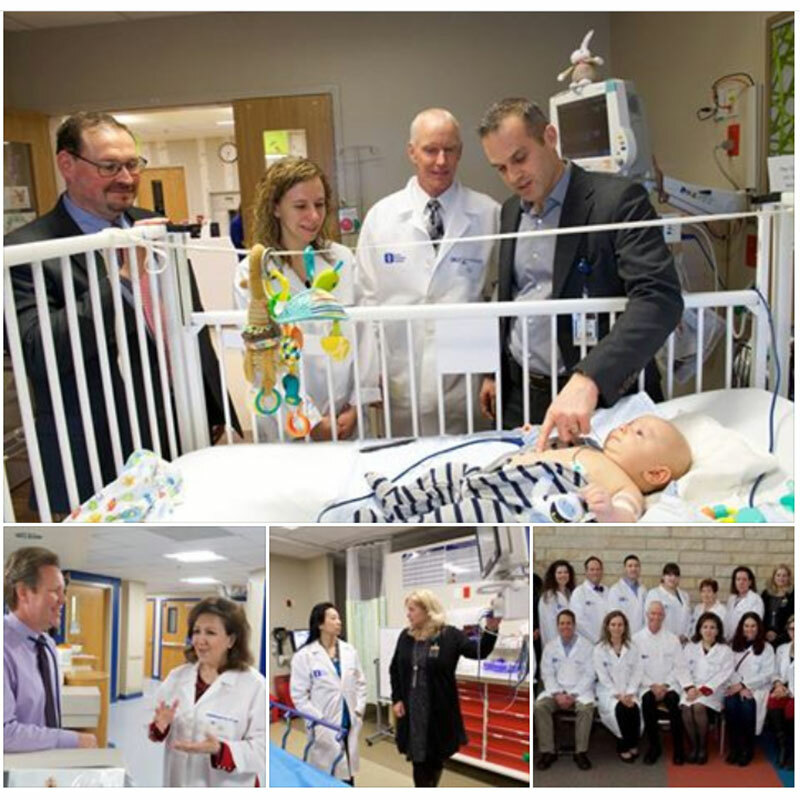 20 community leaders got the chance to get up close and personal in 11 departments at the hospital. 4. 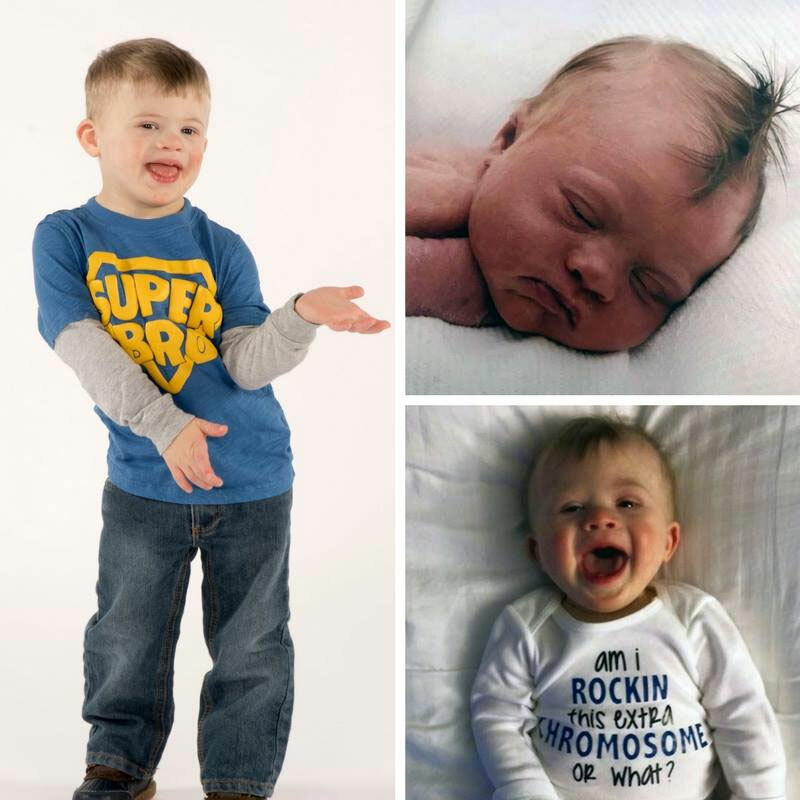 3-year-old Gino has definitely “rocked” the extra chromosome since birth! On World Down Syndrome Day, his parents Brent and Tiffany Russ explained why he’s 1 in a million. 5. 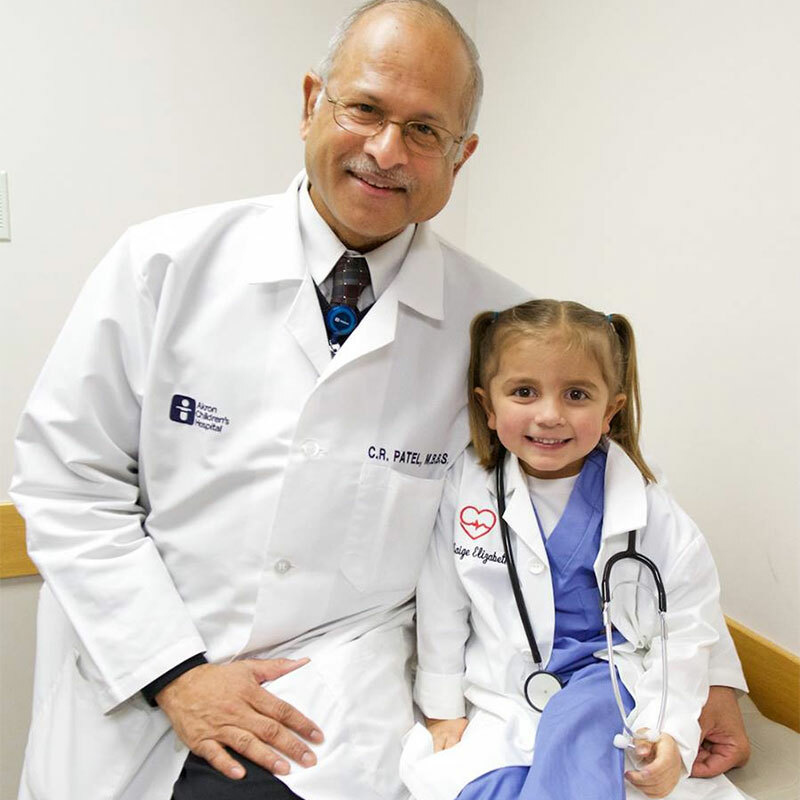 We asked you to give a shout out to your favorite doctor for National Doctors’ Day! We feel very privileged they choose to care for our patients. 6. 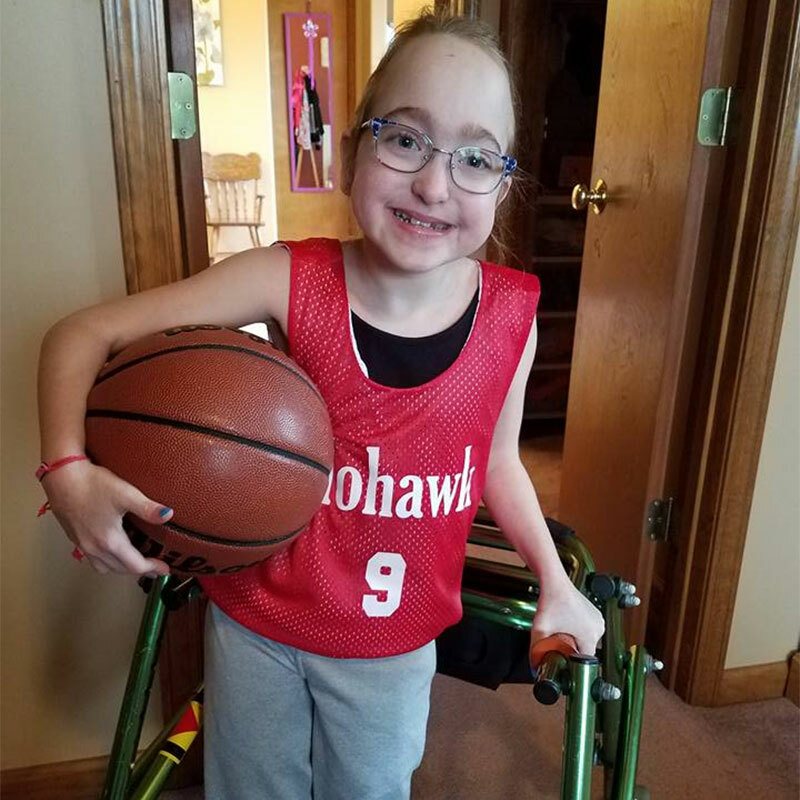 We can all learn from Josie “Super Jos” Greco’s drive and determination – she’s taking on the basketball court with the Mohawk Area School District 4th grade team! 7. For the second year, Martin Garrett drove 4 hours from his home in Pennsylvania to donate Easter baskets in memory of his son, Eli, who passed away from cancer in 2009, days before his 4th birthday. 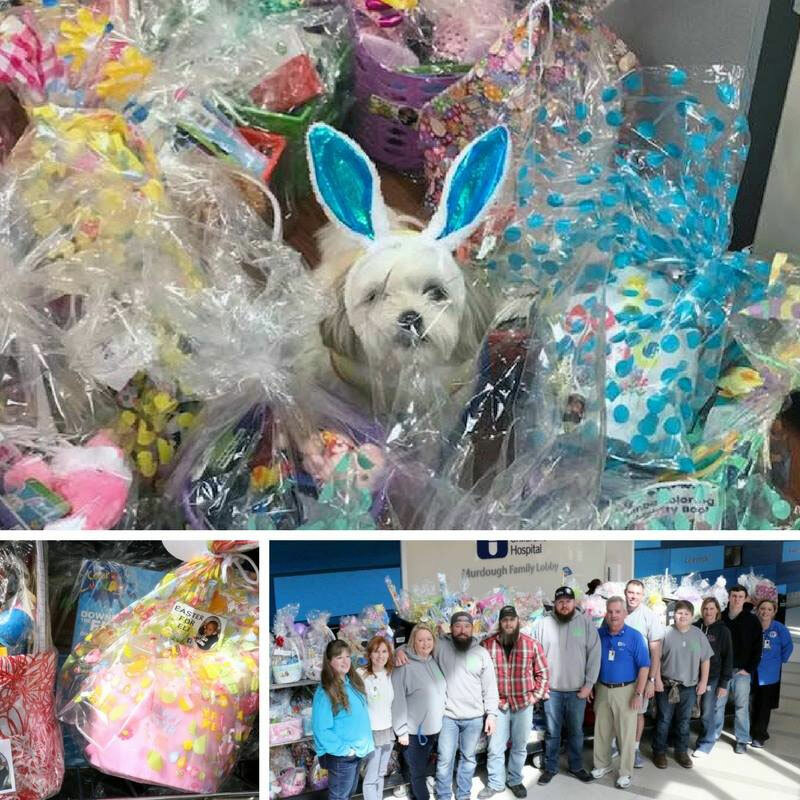 Martin and his Easter for Eli team brought 500 Easter baskets for Akron Children’s patients of all ages, double the amount he brought last year. 8. 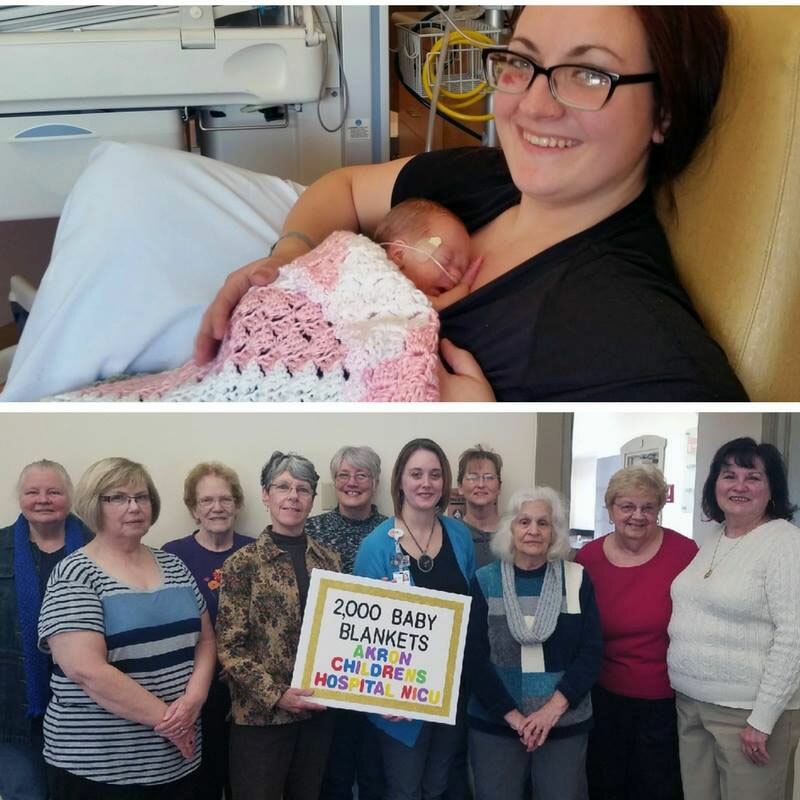 Baby Athena in our NICU was the lucky one to receive the 2,000th blanket from The Loose Knit Group of Mahoning Valley! The group’s 26 members have been making beautiful blankets and hats for our babies since 2010. 9. 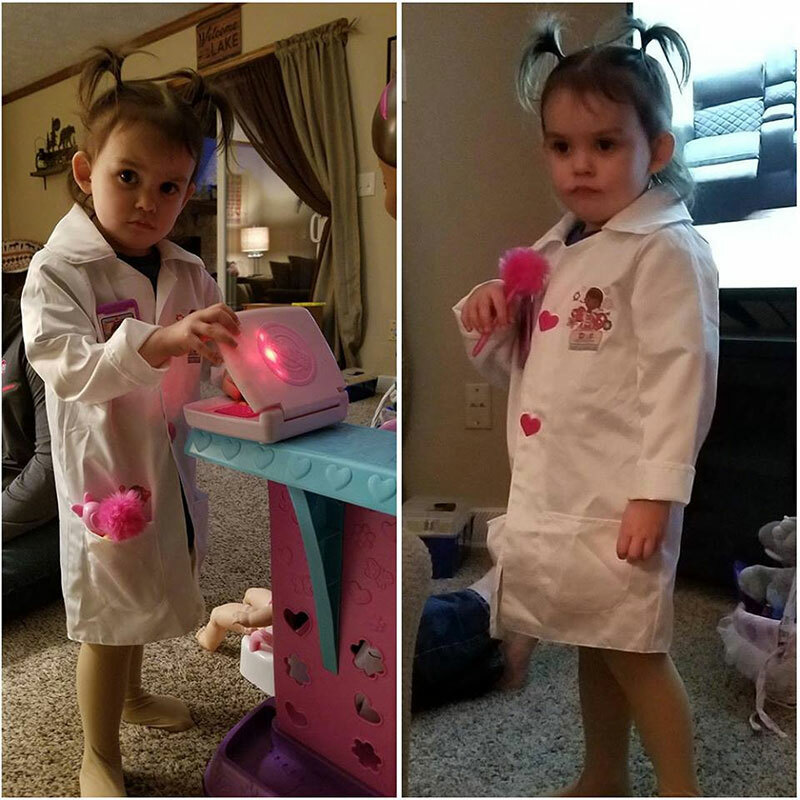 3-year-old Mia McIntosh is so impressed by Dr. Jennifer Burkam, a pediatrician at our pediatrics office in Green, that she’s started copying her every move. 10. Some days, working on the expansion of our Considine Professional Building is a piece of cake … literally. 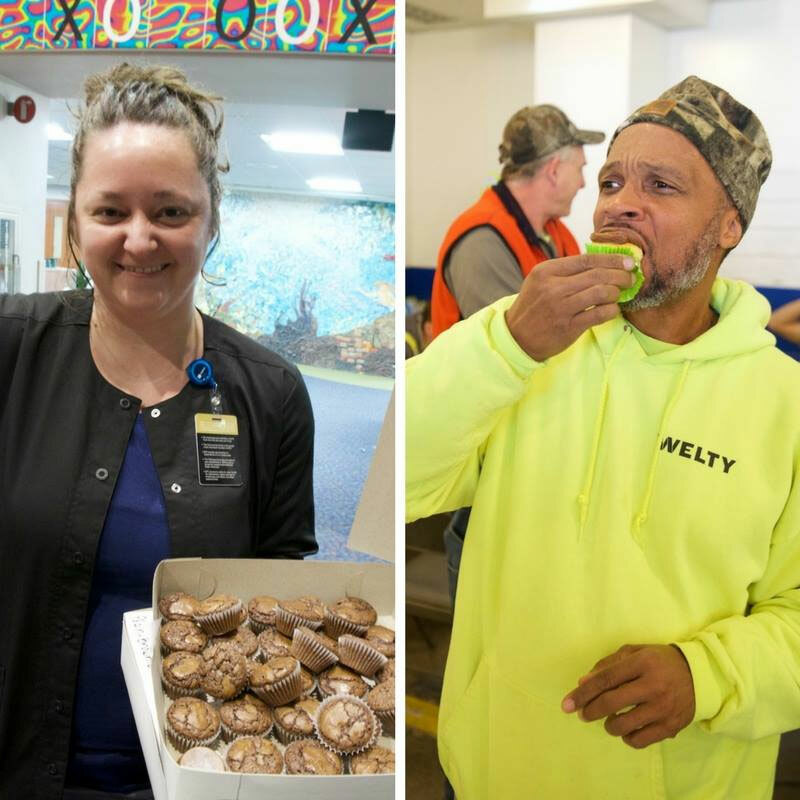 Once a month, hospital employees volunteer to bake dozens of treats to say thanks to the 175+ member construction team. For their efforts, these “Bakers for Builders” receive a tour of the latest construction updates.